Sometimes you need to send your application with sample data to somebody, but how to get a sample data? You can just scramble data of some real database, perhaps several times and for multiple fields. 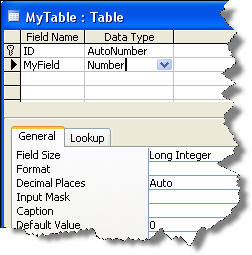 There is a DataScramble.mdb, provided by Roger Carlson, Access MVP, which can help you with scrambling your data. Any idea why this happens? Fortunately – COALESCE() works correct in this case, so I would recommend using it instead of ISNULL(). The Access Unlimited Newsletter is XML/RSS Newsfeed and email newsletter on Office Automation, Access and VB topics, edited by Garry Robinson, Access MVP, whom I recently met at Microsoft MVP Summit. Almost no photos for second day, executive session was translated online, and in the evening we had fun and food in Museum of Flight. And here the photo of Access MVPs/Product group this morning. Step 1. Click the Start button and launch the Local Security Policy editor by entering secpol.msc in the Search box. Step 2. Select the Local Policies item in the left panel to expand the tree, then expand Security Options under Local Policies. Step 3. Scroll down the list in the right panel to locate User Account Control: Behavior of the elevation prompt for administrators in Admin Approval Mode. Right-click that item and choose Properties. Step 4. Select Elevate without prompting and close the dialog. If you use Vista Home Basic or Home Premium, the Local Security Policy editor, unfortunately, isn't included. To disable UAC for administrator accounts, you'll need to edit the Registry. Follow these steps to do that — and be extremely careful, since mistakes could render your system unusable! Step 1. Click Start and enter regedit in the Search box to launch the Registry Editor. Step 3. Double-click the ConsentPromptBehaviorAdmin item. Step 4. Change the value to 00000000. Step 5. Close the dialog and exit the Registry Editor.